Superb rugby trophy to reward player achievement. 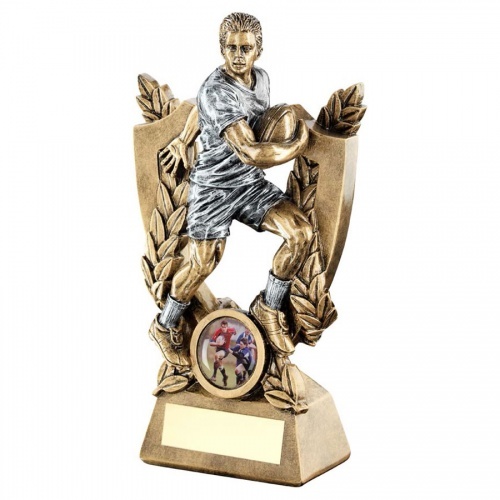 Crafted in durable resin with an attractive silver and bronze colour finish, these trophies feature a (male) rugby player figure in action pose, set against a shield backdrop with laurel wreath garland and a 1in rugby centre at the foot. The piece is set on a bevelled base with engraving plaque. Available in three size options, these rugby player trophies are offered with text and/or logo engraving for the base plaque.